This bible quote is the single most inappropriate phrase uttered in any conversation about physician burnout. Often it masquerades as a witty comeback when blaming a physician for being a human being. IMHO, these three words are not applicable to anything about the causes or prevention of physician burnout. To look a suffering doctor in the eye and harummph "physician heal thyself" is the apex of hypocrisy - especially if the speaker is not a doctor - and it needs to stop now. In this blog post let me show you why this meme is completely off the mark -- and five actions you can take that will actually prevent physician burnout -- much more effectively than any attempt at physician heal thyself - whatever the heck that is supposed to mean. 1) Heal ... Schmeal ... Physician burnout is not an illness - it is a normal response to extreme exhaustion. Burnout is normal when the balance in your physical, emotional and spiritual energy accounts has been below zero for a while. Gradually you get ALL the stuffing knocked out of you and simply can't continue. If you do somehow find a way to keep going, your zombie version of the capable physician you are when your energy is at full charge. Your ability to make decisions - especially the high stakes decisions of clinical care - is tapped out. Your ability to simply think clearly is severely taxed by all the mouse clicks, phone messages, emails and more ... all flowing your way 24/7. You are emotionally drained by the needs of your patients ... which makes it even more difficult to be available for your staff and family. 2) Physician burnout not an illness - it is a clear and present danger for a minimum of 1/3 of doctors at any given time. 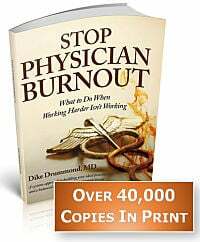 We have known the risk of burnout - for any given physician on any given office day - is one in three since the very first burnout surveys were performed decades ago. Burnout is a known consequence of choosing medicine as your career. It is always present, invisibly draining the abilities of your people, whether your organization is surveying for it or not. 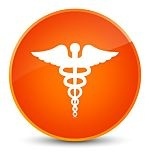 Remember physicians are simply the Canary in the Coal Mine of medicine. Notice there are two moving parts here. Sure you can build a better Canary ... and all physicians must be taught to recognize burnout and take better care of themselves ... but who is working to build a better mine? Organizations must take responsibility for constantly wringing the stress out of the systems of care, rather than just dumping every new mandate on the backs of the providers. Stop surveying for burnout, ask the doctors what stresses them out the most and get to work addressing their concerns. Canary resilience is important and yet it is never enough. If you own your own practice, you have both canary and coal mine control. Do not assume that makes anything easier. Depression, drug and alcohol abuse and addiction, suicide ... these are complications of burnout. The burnout train left the station a while ago, it was not recognized or treated and complications ensued. And even here - where we are dealing with a true illness - you would not look the doctor in the eye and say, "physician heal thyself". Ridiculous. We have seen a number of so-called "burnout prevention programs" around the country that are focused only on crisis intervention. They refer physicians to treatment programs for these complications of burnout - drug and alchohol addiction, depression and suicidal ideation. These crisis intervention programs are absolutely necessary -- so that doctors in need don't fall through the cracks -- and they are NOT burnout prevention programs. 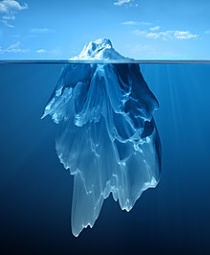 Burnout is the iceberg beneath the surface. The complications are the smallest of tips protruding above. 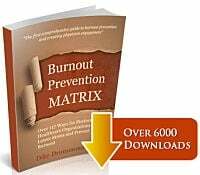 You can intervene on all the suicidal doctors you want and it will not prevent an ounce of the mountain of burnout underlying the complications above. In order to prevent burnout, you must attack it head on with a Burnout Prevention Working Group and leadership committment to the Quadruple Aim. If you have a crisis hotline, don't call it a burnout prevention program and please do not stop as if your work is done. Burnout's highest and best use is to drive you onto a path with more purpose. Burnout is a sign that whatever you are doing right now IS NOT WORKING and it is time for a few changes. Sure you can continue to do what you have always done, praying for something different to happen in response - Einstein's Insanity Trap. And the soul grinding agony of burnout is designed as motivation to STOP and take a new path. Treatment and prevention of physician burnout is not about healing. It is about realignment and conscious design. It is about changing your relationship with your career so that you are in charge and thriving ... not just surviving. It is about waking up from your programming and designing a way forward with your eyes wide open. Figure out what you really want so you have a target. Realign the way you work for more efficiency - get things done without burning so much energy. Rebalance and recharge more effectively in your time off. If this practice and this lifestyle is not working for you, what would work better? It is amazing to me how rarely a physician will ask that question. Without an Ideal Job Description though, you are just working to please somebody else. You are on their agenda, following their Job Description and your burnout is the consequence. Your Ideal Practice Description is an authentic target for your practice improvement efforts at all times. Why would you NOT always work towards a more Ideal Practice ... right? Your Ideal Practice Description is also your road map to recovery if you are suffering from symptomatic burnout. 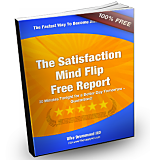 c) Learn how to manage your boss for those times you need their help. If you are an employee, there will come a time when you need permission from up the chain of command for some aspect of your Ideal Practice. Learning how to navigate bureaucracy and manage your boss is a very important - and absent - skill set for most doctors. With these skills in hand you often meet zero resistance to your requests for practice changes. d) Find and hold your center at work - become the eye of the storm to lower your energy drain. Some form of a mindfulness practice is essential so that you don't waste time and life force on negative emotions - frustration, anger, righteous indignation, helpless, hopeless, anxiety. When it comes to mindfulness practices, simpler is better and the real key is to incorporate it into what you do normally during every practice day. Maintain a weekly life balance scheduling routine. These action steps will mitigate for the forces that predispose doctors to physician burnout -- and allow you to take charge of your career trajectory -- always working to build a more Ideal Practice and a more extraordinary life. And don't ever let anyone look you in the eye and rattle off "Physician Heal Thyself" -- when it is completely inappropriate -- again. What is your favorite tool to lower stress, build more life balance or a more Ideal Practice? What was the most inappropriate use of Physician Heal Thyself you have ever seen?